When area residents and businesses need trustworthy, experienced Washington Crossing movers, they turn to Simonik Transportation. Since 1977, Simonik has relocated thousands of individuals with our extensive list of local, long-distance, and international relocation services, giving our movers in Washington Crossing the experience you need. Our accreditation with the BBB and ProMover status with the American Moving & Storage Association serve as a testament to our commitment to quality, and we’d love to add you to our long list of satisfied customers. We’re proud to be an agent of Allied Van Lines, which connects us to a global network of moving and storage professionals for streamlined relocations around the world. Unlike other Washington Crossing moving companies that focus on one or two types of moves, Simonik is proud to offer an extensive selection of moves ranging from local moving to international relocation. No matter how near, or far, you’re going, our movers will get you there easily and efficiently. Residential Movers: No move is too big or too small for our local Washington Crossing movers. Commercial Movers: We’re always on-time, on-budget, and work to minimize downtime for your business. Specialized Movers: Our professionals are trained to handle medical equipment, priceless family antiques, and other high-value items with extreme care. Warehousing and Distribution: Streamline your supply chain with our warehousing, distribution, and logistics services. Storage: With 79,000 sq. ft. of clean warehouse space, we offer secure storage for both residential and commercial customers. Planning a move? 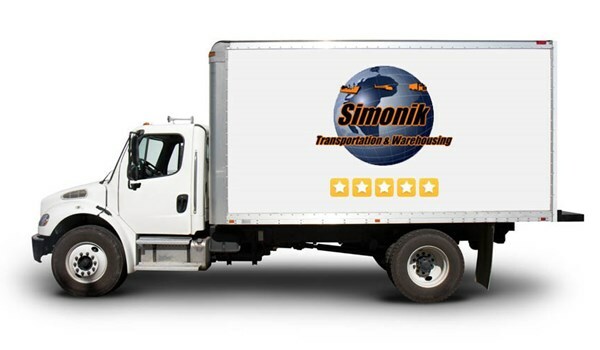 Enjoy a hassle-free relocation by contacting the experienced pros at Simonik Transportation today! Call us to hear more about our moving services and to schedule your complimentary in-home consultation, or complete our online form to request a free, no-obligation estimate of moving costs.